STAGE 2: Writing is writing. I’ll write the screenplay myself, then shop it around. Price will be negotiable. STAGE 3: Screenplays are definitely a lesser art form, and I’m not about to sell out my artistic integrity. I’m sticking to novels. Many years ago, I undertook to transform my novel The Alliance into a screenplay. Fed up with Hollywood’s literary myopia, I bought several books on screenplays–Screen Writing for Novelists Who Think They Can Write a Screenplay; What You Always Wanted to Know About Screen Writing But Were Too Dumb to Ask; and Thirty-Eight Easy Steps to Writing and Selling Your Screenplay–and then I set to work. With few exceptions, one page of a screenplay equals about one minute of screen time. About three months later, I submitted my first ever screenplay to a friend of mine who produced and marketed family films. In print, The Alliance is 329 pages long. After three revisions and sweating a lot of blood, I had managed to trim my screenplay down to. . .uh. . .302 pages. I remember his first words when we got back together. Then came the lesson, which, to my surprise, turned out to be as valuable a lesson about writing fiction as it was about writing screenplays. If it’s day or night, spring or winter. Raining or sunny. If your characters are on a beach or climbing Mt. Everest. What color hair, eyes, and skin and fingernails your characters have; if he or she is tall or short, fat or slender, handsome or plain, skin texture, nose shape and size, lip movements, height and approximate weight. Their body language, quirky habits, psychological hangups. Their tone and pitch of voice. How they say “I love you,” e.g., “I love you,” he crooned. “I love you,” she snarled. “I love you,” she giggled. “I love you,” he said, trying hard not to gag. Who else is in the room. When you think about all of that, it’s a wonder that screenplays are not written on one side of a three-by-five card. 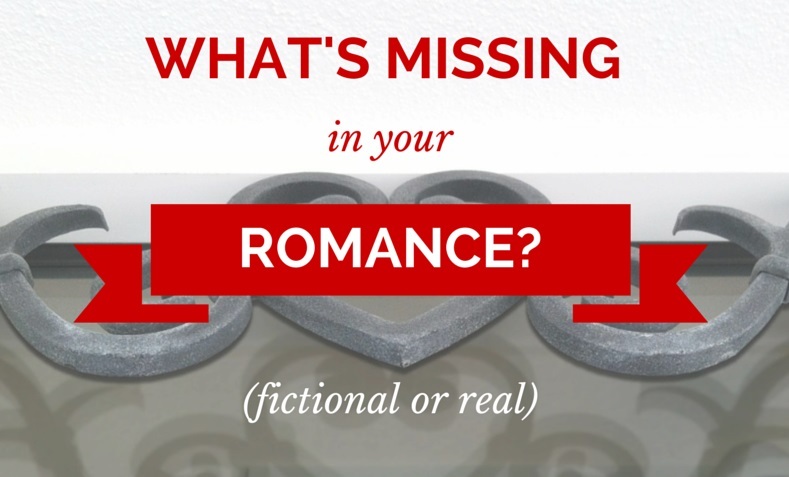 Hopefully, you caught the implication of the above list for novel writers. You DON’T have the luxury of showing the reader your work on screen, which means that you, as the author, have to describe those things above. What is the furniture like? Are there lamp tables? A fireplace? If yes, is it brick or stone or glass? A rug in front of the fireplace? And then I tell my readers what I see, not always in that much detail, but a lot. Next I bring people into the room and now my role becomes that of the DIRECTOR. I “tell” my characters where to sit, what to do, what to say, and how to interact with each other. At the same time, I also become the CINEMATOGRAPHER–the camera man–whose job is to record the scene on film and transfer it to the big screen. That is how I write, and it took me that long to realize it. Edie is the lead female character in my novel, Only the Brave. In one scene I have Edie come into the living room. She sits on the sofa. She has a book in her hands, but she sets it on the lamp table. Obviously she’s come to read, but she’s a little upset. So how do I convey that to my readers without just saying, “Edie is upset”? Her face is strained, her eyes are glistening, and she keeps wringing her hands together. Is there anyone else in the room there with her? Yes, Mitch, her husband. He too is agitated, pacing back and forth. He starts to speak, then he hesitates. Judging by the furrowed brow, this is some kind of bad news and he’s worried about upsetting her even more than she is. And bingo! The novel is writing itself. All I’m doing is recording what I’m seeing in a way that conveys visual images. I’m not saying that’s how everyone writes. Writing is an intensely personal experience. But that’s how I do it, and it works for me. 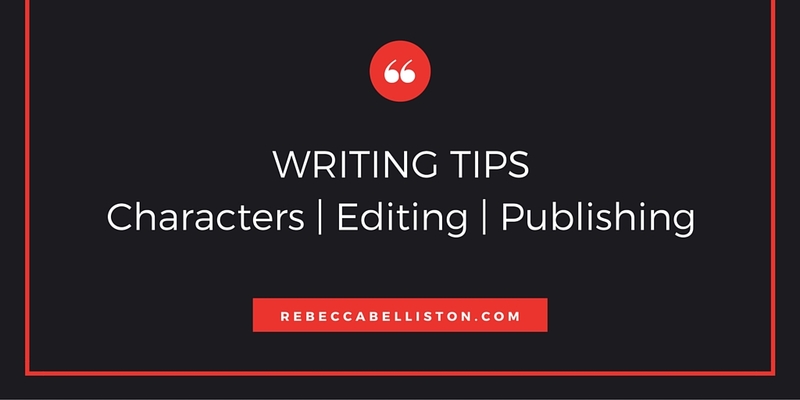 A few years ago, after speaking at a writer’s conference, a young aspiring writer came up and asked me: “I love to write, but I hate writing description. Do you have any suggestions?” I had two, but both were flippant and not a worthy way to answer a good question. Writing a murder mystery and trying to describe this old Gothic mansion that has a creepy feel about it? Google “Gothic mansions images,” and in .46 seconds you have 652,000 results. Pick one and describe to me what you’re seeing. That’s not always as simple as it sounds, but it works. Google “Women’s Fashions 1890 America” and you’ll see the picture that I used to describe the dress. It’s also important that my main characters “look” like the kind of people I want them to be. So let’s say I’m developing a new female character. Once I get her personality and character firmly in my mind, I try to start picturing how she looks. That doesn’t come easy for me. Sometimes I think about women I know–friends, relatives, ward members, etc., but more often now, I go to Google, type in, “Images women’s faces” and instantly, I have hundreds upon hundreds of faces to sort through until I find “the one.” Then, I study her face and decide what it is I like about it. Then, I try to describe it so my readers can begin to picture it too. Round face. Perky, upturned nose. Large almond-shaped eyes. High cheekbones. Stuck on how to describe a unique landscape, a piece of period furniture, a storefront, a yacht, a van Gogh? Google it. Help the reader create their own Movie in their heads. Or not! Now, this is not as simple as it sounds or more people would be successful writers. Often, even highly successful writers forget simple concepts. Though they may not appear at first seem to be related to the idea of a movie in the reader’s mind, I think they are and I’ll try to show you why. Never, never, ever pull your readers out of the story by doing something that calls attention to yourself. I call that “writer intrusion,” because it interrupts the movie going on in my head. In my opinion, it’s a cheap way to try to insert a “hook” into the writing so as to hold the reader’s attention. It is a relatively simple fix. Give me some verbal/visual tags that make each person more memorable. Jane slips into a deep Southern accent when she wants to hide just how bright she really is. I call these verbal/visual tags because though they are written words, they bring images into our minds. In a movie, we typically don’t pay much attention to ambient sounds, unless they’re put in specifically to move the plot along, such as the squeak of a footstep on the stairs in a horror movie. But other sounds give a feel of authenticity to the movie because in real life our world is filled with sounds. If the real world has a soundtrack, then so should the world you’re creating in your novel. But there is another application of using a “sound track” in your writing, and that is with your dialogue. Someone once noted that the problem with writing dialogue that sounds authentic, is that it can’t really be authentic.” Weird, but it’s true. Bob: (entering the room). Hi, Dan. Bob: A pastrami sandwich on rye. Dan: Ugh. I don’t like rye bread. Bob: Really. I love rye bread. Put that in a book and it’s pure chloroform. Striking the balance between real and believable dialogue is a skill, and whole essays have been written on the subject. Here’s one simple trick that really helps me to turn monotonous dialogue into something that sparkles–sometimes even crackles. I learned it from another author, and since then I have learned since that a lot of authors do it too. Read your dialogue out loud to yourself. Isn’t that what movies do? We hear the dialogue, we don’t read it on screen (except in foreign language movies with subtitles, which do not do well at the box office). That’s how it is in real life too. By reading it aloud, and trying to include such things as voice inflection, pacing, volume, emotions, etc., I begin to feel what’s working and what’s not. Then I go back and delete, polish, tighten, or expand. Okay, I don’t really write popcorn into my books, but as I thought about the analogy of having a movie in my mind, I also thought about why we like going to the theater to see movies rather than wait until they come out on DVD. And I realized that it’s not just the movies themselves which we enjoy, it’s the experience. And part of that is the popcorn–still the number one concession sold at movie theaters. So think about that in terms of our writing. We like to have a pleasant reading experience too. Part of that is finding stuff that lifts the spirit, makes us laugh, or just gives us a good chuckle. It may be something as simple as a droll comment by a secretary that puts her arrogant and insufferable boss in his place. Some movies put in visual “gags” that make us smile. Even in serious movies, we appreciate when something happens that momentarily makes us laugh, relieves the monotony of life, and helps us reflect on life. And it feels good. Like a handful of hot, buttered popcorn. Can you name which part of the newspaper is read by old and young alike? Which feature is for many people the one thing they will read even if there is no time to read anything else? That’s right. The comics. That should tell us something. When I’m reading a novel, let me have some popcorn with it. Such is what I’ve learned from trying to turn a novel into a screenplay. REBECCA’S THOUGHTS: Wonderful tips, Dad. This is definitely one of your strengths as a writer, making scenes and characters memorable. It’s great seeing how you make that work. Anytime I stop to visualize a scene, actually closing my eyes and letting it play out before me, the writing comes so much easier. Descriptions, too. If I’m stuck on a scene, that’s the fastest way to push through it–stopping to visualize it like an actual movie. And I can’t imagine writing without Google. It is any writer’s best friend, but you wrote for years without it. Not really sure how (well, actually I remember lots of hours you spent on research; lots and lots and lots of hours). Thanks again for these tips! What about you? Do you ever try to visualize your story like a movie in your mind? How do you make your stories come to life? Comment here. Check back Tuesday for author Chantele Sedgwick talking about balancing writing time and family. See you then! This was the best post I’ve read in ages. I love his thoughts as well! Yes, I agree. I keep reading it over and over, trying to embed the ideas. Seeing the story as a movie really does add so much depth. Good luck with your writing! Sorry, I’m late to the game here. I was out of town and left this unread so I could savor it when I got home. There are great tips in this. Your dad is one of my favorite authors, so this was a treat to read what he has learned over the years. I’m like you…I can’t imagine writing without Google, but usually use it for word details. What kind of gun would a intelligence agent use in Israel, what do drug cartels do in Guatemala and Mexico, how long would a shot to the leg take to recover from. But I like the concept of using pictures to describe places and scenes better…and people. Awesome post. I’m sure you’ve inherited lots of little treasures that will keep surprising you. And yikes! I never thought of the feds showing up to arrest me thinking I’m some kind of criminal. Nope, never heard of it. Will it get me arrested? No. It’s basically people answering questions like, “What does it feel like to get shot?” But the people answering have actually been shot, so it’s kinda interesting. There are less violent things, too, like “What kind of hours do paramedics work?” I’m liking it right now for research.